Rescheduled for Sunday, January 27, 2019, 3 p.m.
Come! Be present at the creation! Listen to how Nathaniel Pope, Territorial Delegate to Congress, Ninian Edwards, Territorial Governor, and others created our great state of Illinois in 1818. 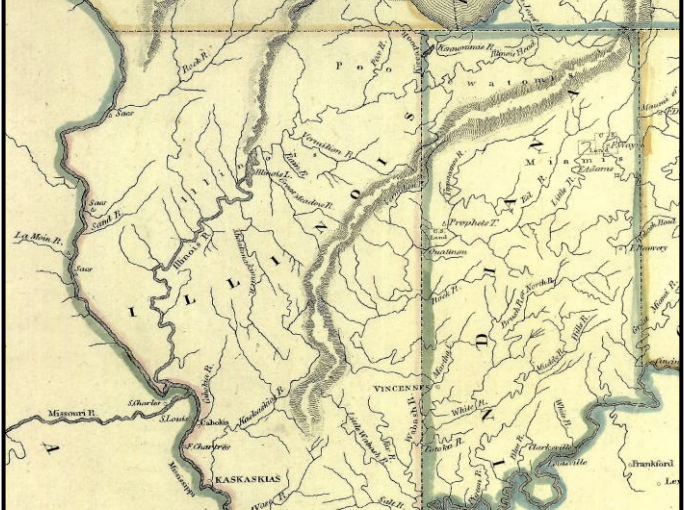 Historian Jon Parkin will lead Historic Elsah Foundation in a Bicentennial celebration of Illinois statehood with his presentation, “At Last We Are a State: Illinois Territory’s Quest to Enter the Union in 1818,” Sunday, January 27, 2019, 3 p.m., at Farley Music Hall in Elsah. Parkin will reveal the key events leading up to Illinois becoming a territory and subsequently, a state. He will also describe the major issues that were debated in the convention that wrote and ratified the Illinois Constitution in 1818. Perhaps the most interesting and important event Parkin will discuss is one that occurred in Washington, D.C., on April 18, 1818. On that day, President James Monroe signed legislation that made what would have been Chicago, Wisconsin, into what became Chicago, Illinois. Who knew? Parkin has been Director of the Madison County History Museum since 2017 when he retired from a career of 25-years in teaching high school history. He and his wife Vera, who is a professional pianist with the St. Louis Symphony Orchestra, live in Edwardsville. This event will mark Historic Elsah Foundation’s commemoration of the birthday of Illinois, which occurred 200 years ago on December 3, 1818. It will be the fourth and final program in the 2018 edition of the Hosmer-Williams Lectures sponsored by HEF and underwritten by Liberty Bank. Attention media, print, and otherwise, for additional information, contact George Provenzano.